In this tutorial, we’ll see how to add a DIVI Section, anywhere you want inside templates of your DIVI website. For what benefit would we do this ? Why won’t we use the DIVI Builder to add content inside our page ? We will add content inside PHP templates, at places where the builder does not allow us to do so. For instance, this trick will allow us to add content before Navigation menu, or just before the footer, or just before any post content… There are numerous way to use this and one of these is the ability to repeat content on each page without having to add this content using the builder. The method is quite simple, and remains on the use of DIVI Library and by adding an instruction inside php template to call our previously saved section. Let’s have a look at this section making. This can be done from anywhere where we use the DIVI Builder, e.g. inside any page or post under construction. But we also can do it directly inside the DIVI Library. We talk about adding a SECTION, so let’s give it a name and then select SECTION as a type. So let’s copy the post ID, here i can see 198. Let’s insert our section inside an existing php template. For this example, we are going to insert our SECTION right before the navigation menu. BE CAREFUL, if you want anything inserted at this place, you need to desactivate fixed navigation in DIVI options. 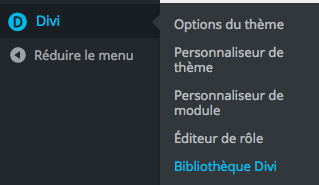 We choose to insert content right before navigation menu, so we’ll look for the position where primary menu is called. As you can see, we have our SECTION id (198) and we call global_module regardless of our choice about global or not, it won’t change anything here. We just achieved adding a section before the primary navigation bar. We can do the same for footer inside footer.php. We are also able to add a section inside any template like page.php or single.php or any other custom page. You can for instance add a “call to action” module on all your pages without even the need to open a page in builder. Very helpful! thank you for posting. Question: When I try this, regardless of what ID I use, it’s defaulting to the most recently added module to the divi library. Just a little feedback – it works now! Really appreciate your help and Know How! Best regards from Switzerland. How would I use this to change the header of a Project page? If you want the same header for each project, you can copy the single-project.php template from divi theme inside your child theme folder and then add the shortcode in this template. Thank you so much for your fast reply! You really helped me out! is_category maybe only used inside archive page. If you want to test a post you should use in_category instead. Is there a possibility to define for each blog post a unique header image? Yes, you can use conditionnak tags to display desired header for individual posts. or inside the main content container? Hi Alex, thanks for feedback. To have the fullwidth header under the main nav, you just have to set the shortcode after the get header statment. Inside the main content container is better, as everything from the builder will be there. Can I add more than one “” to my php file? I’m asking cus’ when I do this, Divi just copy the first section on my Divi library in the website. Can I add more than one shortcode to my php file? Thank you for taking the time and sharing this information with us. It was indeed very helpful and insightful.Wonderful post. I’m only using Divi Builder and I’m using different theme for some purpose. I tried adding the shortcode you have provided and I was able to see the global module I created but the CSS is not applied. What should I do? 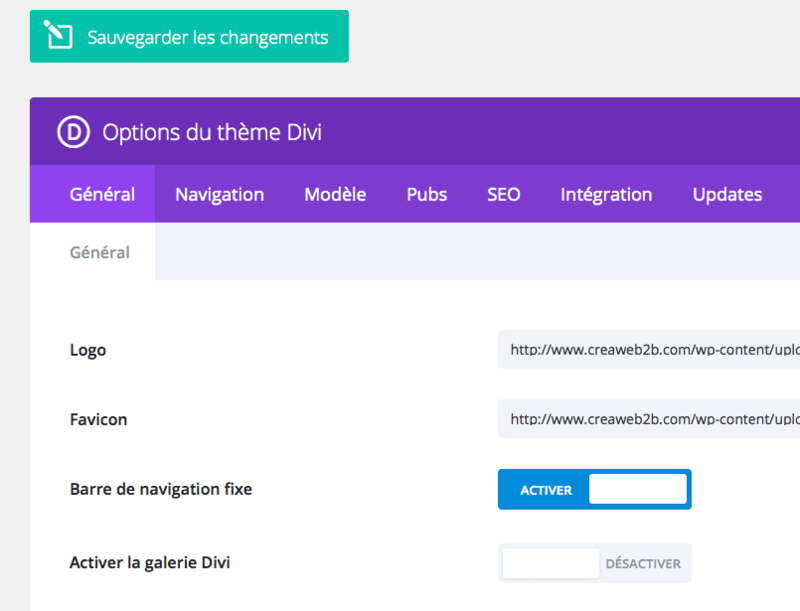 Is it Divi Theme is required? Hi, replied by email with a setting to try inside the builder. Hope it will help. I am having exactly the same problem with Divi. The CSS is wrong when I use the php code into my custom pages. Have you come with any solution? 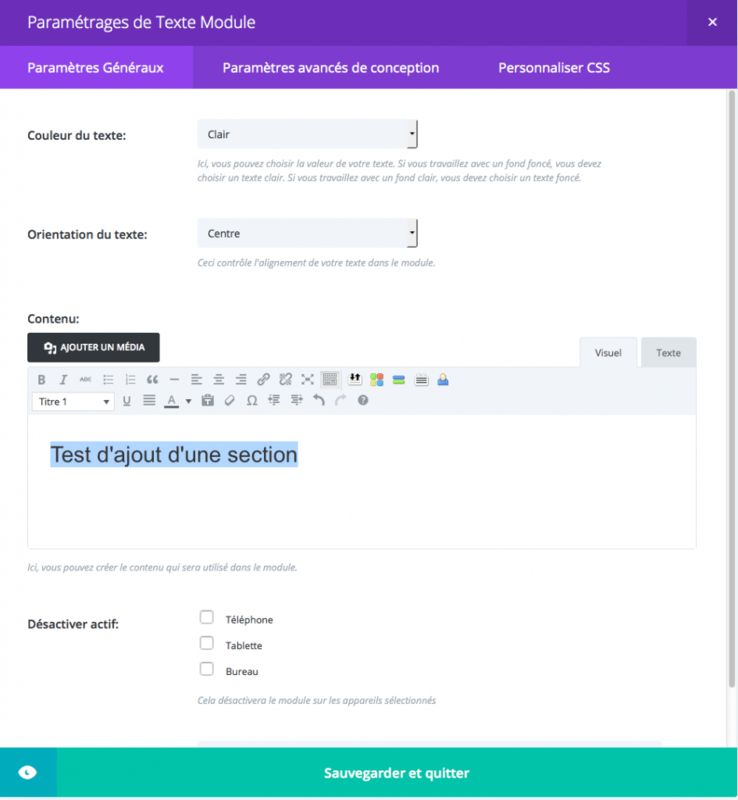 Go to divi theme options – builder – advanced – Then clear the ‘Static file css generation’ . — This worked for me! Hi Fabrice would you be able to help me with this? I’m trying to add a library section to an archive page template. I’m sure I’ve followed your instructions exactly but the section doesn’t appear. I want to add it after the header, but I’ve tried in various places in order to try to find the problem, and all that happens is that, no matter where I paste the code, the margin disappears from the main content area. When I look at the code in the firefox inspector I can’t find the section. How do I assign a module a class name? Sorry, i was travelling abroad without access to my blog. 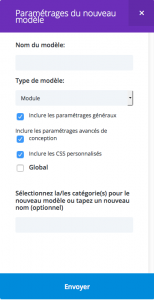 To add a class to a module, go inside divi library, open the module settings and then inside advanced settings you’ll find css id and class settings. 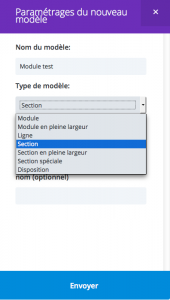 When you call the module inside a template, the class from library module will appear. There is a problem on page load with this solution. I placed divi layouts in the woocommerce shop page and the throttled the bandwith in browser for making my internet connection slow. This will display the broken content of the layout that we have imported using php code. It is because the code of divi layout is already sent to browser while php code is still executing in the server and getting the woocommerce products. It takes some significant amount of time to get the products. This delay is visible to the user because of the visible broken content that is rendered on browser. The browser makes DOM and CSSDOM only after it gets all the html code from the server. After that the browser makes request to the css files. There is a gap in this time difference which is noticeable even in very high connections because browser can’t render the css very fast even if the css file is downloaded fast. So, this solution is better for pages that don’t have much execution logic and time. But not suitable for pages that have some heavy execution logic like woocommerce shop page. Thank you very much, just what I needed to know! This is exactly what I’ve been looking for. Very useful information, thank you! THANK YOU! This solution is brilliant and works! Saved me hours and hours. Thanks for this, it’s just what I’ve been looking for how to do. A quick question, is there a way to insert this so it’s visible on all pages except the home page? I see 2 ways to do that : first one is to hide it for homepage via css (home page receive “home” class for the body tag. So you can target your new section via css and use display:none; You just need to inspect the code to find wich section is to hide. Just a small suggestion or question, in case I missed it: is there anywhere in this post where I can download the code to insert? I understand the statement is pretty small but still looking at it and typing it word for word is prone to errors and takes time. Would be much better if it was available as a copy&paste text. Thank you very much for taking the time to document this solution. Awesome tip. Thank you so much, it makes everything so simpler!!! This worked great for me and first time. Thanks for the great explanation. Hi, you don’t have to change the code. 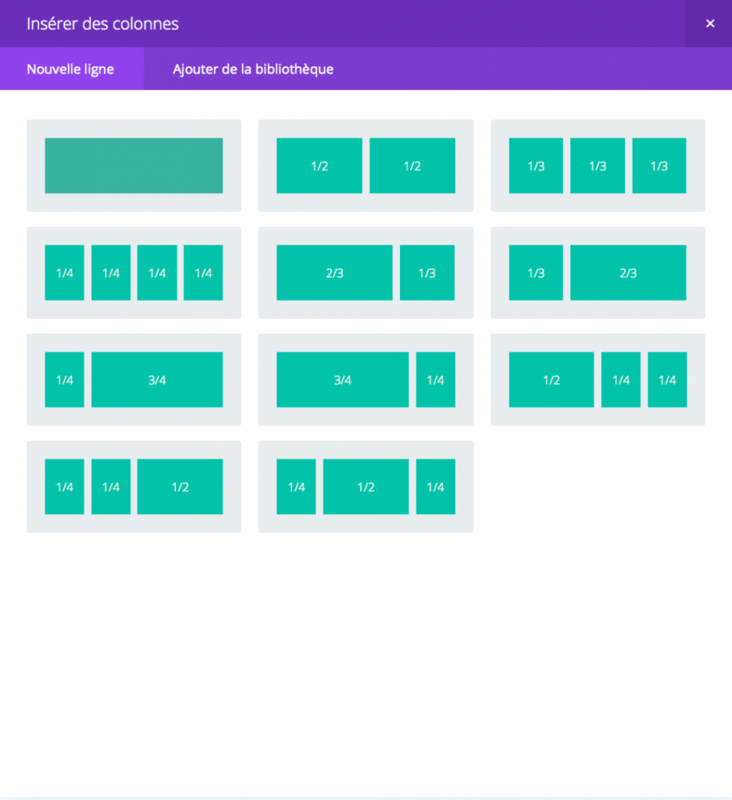 This code will remain the same for a layout, a section, a row or even a module. 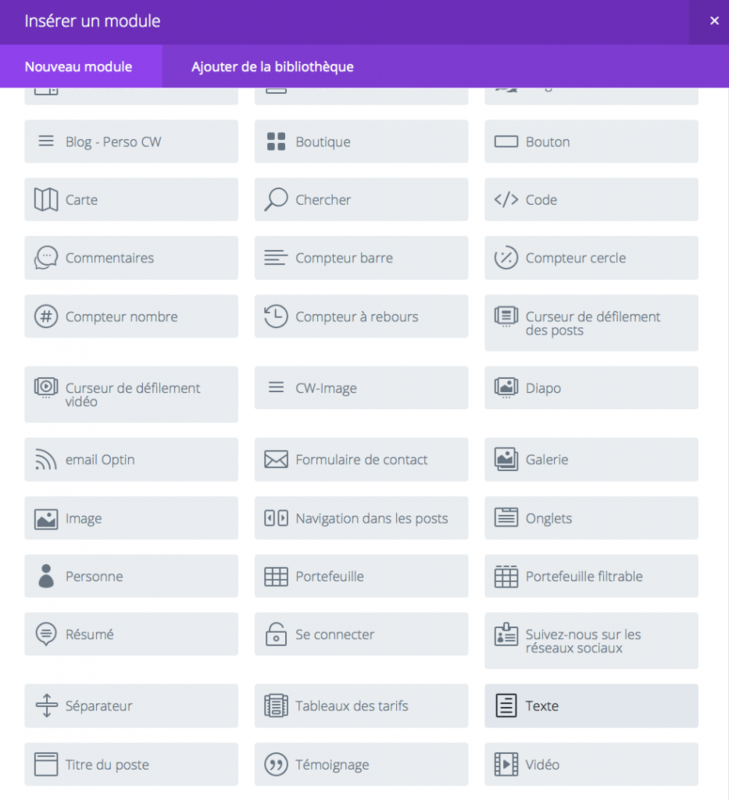 Just design your module inside divi library (or in page buildr and then save it to library) and grab the module id. Next you insert the do_shortcode where you want the module to appear. Hello Sir, im trying to follow your guide to add a banner on top of all my single blog posts but below the main Menu. I want it to be very similar to our homepage: https://mananys.com/blog/. I want the image banner and the secondary Menu to be present in every single blog post page. Any help you can give me with this? i Dont know if im missing something or what im doing wrong. Thank you Fabrice, i sent you an email containing my code and a screenshot of what i want to accomplish. Have a nice day sir. Just replied, i can’t see the do shortcode line inside your single.php file. Be sure to put the edited single.php file inside child theme folder. You are the Divi savior, Fabrice! Thanks so much! great tutorial, safety and cleanly code. Thank you! Great details, much appreciated. Thank you for this great tutorial. It is just what I need to insert a custom header into my Woo Commerce pages as well as my standard, non WC pages. This worked great. I was able to place the floating centered icon on the bottom of woocommerce shop & category page template and the single product template using the child theme RoyalCommerce. Great tutorial and pretty easy to implement. Good tutorial Fabrics. This is really going to help with customizing Divi child themes. Being able to add sections into the page templates is going to be a big help. Bravo beau travail. 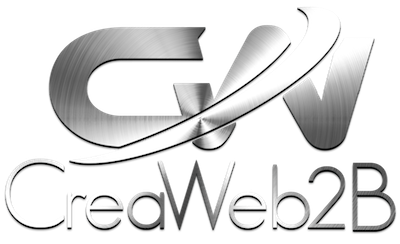 Tu devrais nous rejoindre dans le groupe division theme France pour nous apporter ton expertise. Merci d’avoir partagé. . This is nice. Don’t need plugin. Thank you so much.